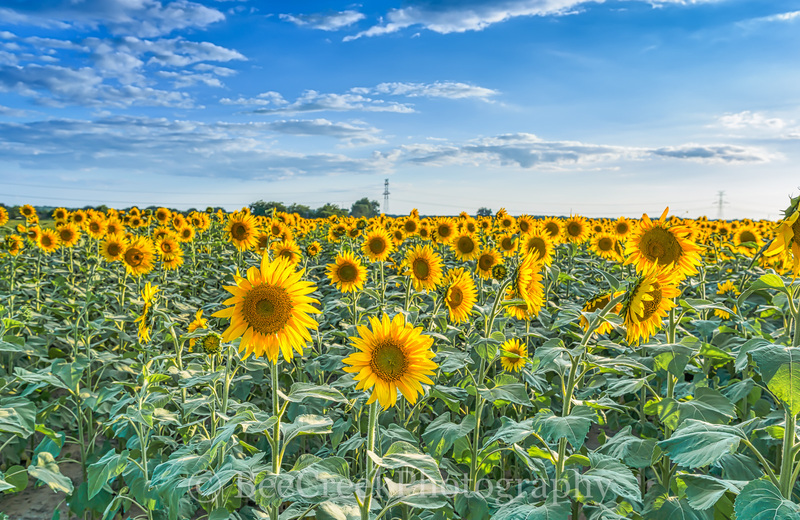 Texas Sunflower Field - We love these sunflower fields landscapes and we spent over a month going back to capture these beautys before they were cut since you don't know the farmer schedule. We enjoyed the way the giant sunflowers seem to reach to the sky in the landscape. These look so pretty being back lit by the sun just another example of how farming has changed. Thats why we had to go so many times because they only grow for a short period of time and some come up before others so they may not open up all at the same time. The best time is when they are all open but when it is a four drive just to get here not alway easy to know I hope you enjoy looking at them as much as we enjoying photographying them. Photo © copyright by Bee Creek Photography - Tod Grubbs / Cynthia Hestand.